So is running around the battlefield with a canister of flammable liquid on your back! Wouldn't this be Prussian or some other state that used the Resedagrün band and piping? Chris, the blue Bavarian Litewka was replaced (by regulation) in March of 1916 by the Kleiner Rock. I'm sure, however, as this photo shows, that officer's with the former jackets did not pitch them. This guy is obviously in the homeland convalescing and has access to all of his uniforms. I would think that the gray Schirmmütze would have been worn with the blue Litewka at least up until the time of the change to the Kleiner Rock and quite possibly beyond. Shoulder straps of the Bavarian Garnisons Bataillonen looked like this...(in this case, K.B.III.A.K., 5.Komp.). I think someone on this forum owns one of Pelkmann's field gray jackets. You should let me take that nasty Prussian Jäger stuff off of your hands. I've seen several examples of this happening and I thought it might have something to do with the fact that Kurhessen troops wore Prussian heraldry and that Hessen was caught short of supplies during the expansion of the army in 1914/15. It depends. At least two popular free image posting services discontinued the free offering. So, all the links to the images on Photoshack and Photobucket were broken. I have heard just this week that one of these services might be restoring the free accounts, due to pressure from the community. I'm not sure if this will do anything in regard to restoring images on forums, however. Do you mind saying which light box you purchased? Your pictures turned out well and I assume you are happy with it. I've researched these in the past, but have yet to pull the trigger. It has long been my thought that forces in the field that required new clothing issue items were supplied by whichever corps depot had the stocks on hand. Particularly convenient were the border corps that were the closest to the fighting. It doesn't make sense that every unit at the front had to be resupplied by its original corps Bekleidungsamt or a field depot representing each corps. I think that is one reason why we regularly see caps with corps markings that don't make sense with regard to the field unit. Of course, original issuing for recruits in the homeland would continue to be from the corps B.A. and would be marked thusly. 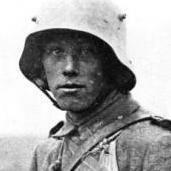 Yes, it says in Kraus that in 1918 the visors were ordered to be removed. I have two caps whose visors were removed, but obviously, not all were modified.